The Latin maxim Stare decisis et non quieta movere means “to stand by decisions and not disturb the undisturbed.” In the courts, vertical stare decisis indicates that inferior courts are bound by decisions of superior courts, and horizontal stare decisis indicates that a judge of a given court is bound by prior decision of the same court. So let’s turn to the USPTO. One may think that the structure of the agency would lend itself to abide by the same stare decisis principles. 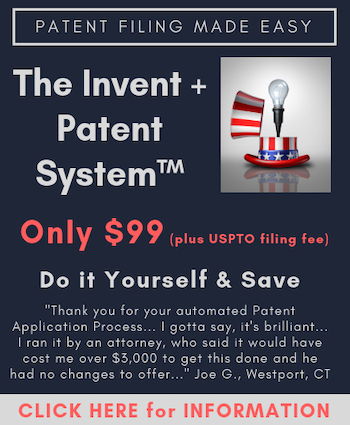 At the end of fiscal year 2014, the USPTO included 9,302 patent examiners who serve a judge-like function of administratively determining whether an application is to issue as a patent. An applicant may further initiate an appeal of an examiner decision (a rejection or patent issuance). The appeal would be decided upon by a collection of administrative law judges at the Patent Trial and Appeal Board (PTAB), which includes 231 Judge members as of April 2015. One may think that PTAB decisions would therefore bind judges of the same Board and examiners. This is seldom the case. PTAB decisions are predominately given one of three classifications: precedential, informative or routine. Only precedential decisions are to serve as binding authority. Informative decisions may serve as an authority but are not binding. Routine decisions may be cited as relevant but are not to be cited as an authority. Recent research indicates that, of the 20,631 ex parte appeal decisions issued in fiscal years 2013 or 2014, less than 0.04% (more specifically, 7 of the 20,631) were precedential or informative. FIG. 1 shows a representation of this data. Thus, while examiners and applicants alike are desperate for guidance and interpretation of the vague and case-specific case law, PTAB is failing to step up. For example, the state of interpretation under 35 U.S.C. 101 as to what subject matter is eligible for patent protection is nothing short of a mess with many examiners echoing applicant frustration. Since July 2012, the USPTO has issued four different sets of guidelines directed to the statute, and their naming of the most recent guidelines as being “interim” guidelines suggest that another set of guidelines may be forthcoming. Applicants have begged for more tangible examples of what, for example, constitutes “significantly more” to allow claims directed to an abstract idea or law of nature to nonetheless be patent eligible. The USPTO has struggled to respond to these requests in a timely manner and has been monitoring all court decisions and any precedential or informative PTAB decisions for guidance. Potentially, the PTAB is best positioned to provide some clarity on the issue due to the higher likelihood that borderline cases will be in queue for appeal. Court cases that deal with extreme patents that are clearly ineligible offer little information for applicants and examiners as to what is sufficient for 101 compliance. However, only one (of the mere seven) of the precedential or informative ex parte appeal PTAB decisions from fiscal years 2013-2014 dealt with the issue of patent eligibility. We have recently encouraged stakeholders to actively participate in the precedential-designation process by nominating particular decisions that could provide guidance to the PTAB and Examining corps. See The Patent Bar’s Role in Setting PTAB Precedence. Further, we ask PTAB Judges to review these nominations with eye towards finding decisions to be made precedential rather than too critically reviewing individual decisions. Further, we request that PTAB Judges – who are reviewing and composing decisions as part of their jobs – submit their own nominations. Such designations would promote clarity, consistency and efficiency and may further reduce the PTAB workload by providing guidance so as to discourage common examination or prosecution errors. Any judicial system is premised on the bedrock concept of stare decisis to reduce the cost of deciding similar factual situations repeatedly. The PTAB has, to date, very rarely designated rulings as Precedential or Informative to make future decisions easier so we ask that an emphasis be made on production of new precedence. USPTO 2014 Performance & Accountability Report. Smith, J. D., Boalick, S.R. “Patent Trial and Appeal Board Update.” Patent Public Advisory Committee Quarterly Meeting, May 14, 2015. Patent Trial and Appeal Board. Standard Operating Procedure 2 (Revision 8). Gaudry, K.S., Krieger, J. The Patent Bar’s Role in Setting PTAB Precedence. Law360, September 10, 2015. Thomas Franklin is a partner in the Denver and San Diego offices of Kilpatrick Townsend. He focuses his practice on patent prosecution, licensing and intellectual capital management with more than fifteen years of experience with intellectual property. He is experienced in intellectual property audits, due diligence and strategic planning processes. Through an IP Asset Management plan, he tailors strategy to business goals, competitive pressures and funding constraints to leverage intangible assets with intellectual property. He uses IP protection to maintain the dominance of large companies or assist smaller enterprises who are vying to dominate. Guys, they can’t make decisions precedential because the PTO lacks substantive rulemaking authority, right? So can we say that if there are more precedential decisions then the intricacy of the “significant more” can be untangled? Assuming that these would be the decisions examiners would be referring. Is not the term “precedential” here reflecting only that other Article I courts must follow the Article I designated decision (and that the decision is not meant to indicate a substantive rulemaking exercise)? I think that the reason they are not making them precedential is because there isn’t an appellant court at the PTO. The precedential is precedential to what/whom? You see? The precedential would mean that other patent judges at the PTAB have to follow the precedential opinion but there isn’t a mechanism to make them follow other opinions. They would have to put in their reviews that they failed to follow a precedential opinion. Plus, the politics. A new director is on the board and can form a panel to decide a case. If there were precedential opinions, then the next director could just come on and wipe ’em and put whatever he/she wanted there as the precedential opinions. You see the problem? There isn’t the structure at the PTAB for precedential opinions. I’d imagine the next step with all these IPRs is an appeal board at the PTAB (like in Japan), then the appeal board could have precedential opinions. Kip – take a look at the link to our Law360 article in the last paragraph (and look particularly at the first figure) – http://www.kilpatricktownsend.com/~/media/Files/articles/2015/The%20Patent%20Bars%20Role%20In%20Setting%20PTAB%20Precedence.ashx. The PTAB has a Standard of Operating Procedures setting forth a protocol by which decisions can be designated as precedential. Such designation means that the decision is authoritative and that the PTAB is to abide by the decision. So the PTAB does designate some decisions as being precedential (see: http://www.uspto.gov/patents-application-process/appealing-patent-decisions/decisions-and-opinions/precedential). Our point in this article though is that such designations are very much too rare. And Nitin – yes, we believe that such precedential designations would add clarity to what constitutes “significantly more”. We have heard that at least some examiners and SPEs are monitoring outputs from the PTAB. Further, we believe that precedential decisions would also be used to construct PTO guidelines. Yet, when an application was placed in SAWS, the PTAB specifically ignored appellant’s arguments despite the above precedential ruling. This behavior has continued after the claimed termination of the SAWS program. As long as the PTO maintains secret quality assurance systems like SAWS and fails to inform applicants even though PTAB judges are informed of such status, precedential rulings are completely pointless. A few thoughts about precedential opinions and the PTAB. First, it is a bad idea. Second, it is a really bad idea. Third, it is a really, really bad idea. If the PTAB is to be issuing precedential opinions, it should be on PTAB procedure (e.g., Frye, Letts) — and not the reinterpretation of substantive law (e.g., Yamazaki, Nehls). From my reading of many of these decisions, the point of law declared by the PTAB is not one that was properly briefed — rather the point of law was raised sua sponte by the Board. I’ve always been troubled by this. The work product at the PTAB is also a mixed bag. While there are some talented and experienced attorneys on the PTAB, many of them are just former examiners with law degrees with little experience actually practicing law — not necessarily the type I want to have creating precedent at the Board. Another observation — very few precedential PTAB decisions are in Appellant’s favor. the PTAB is best positioned to provide some clarity on the issue due to the higher likelihood that borderline cases will be in queue for appeal. True … but this involves issues of substantive law and is highly fact dependent — inappropriate (IMHO) vehicles for issuing a precedential opinion. Finally, the Board is a mouthpiece of the USPTO. How the law is interpreted at the PTAB shouldn’t be dependent upon the policy leanings of the executive branch. APJs are NOT part of an independent judiciary. But as I said above there is no way to enforce a precedential decision. Without an appellant board at the PTO. It is hard to imagine how a yearly evaluation would look evaluating whether or not a patent judge conformed to precedential opinions. That is simple not a good mechanism. Moreover, without a more independent appellant board the precedential opinions could easily be used to widely swing the law applied by the PTO to suit the current political currents. Not a good idea. Reality, since the board has become so large and important, an appellant board at the PTO is going to have to be set up. Hopefully, it will be independent of the director. But as I said above there is no way to enforce a precedential decision. You enforce it the same way you “enforce” Federal Circuit case law — you make the arguments and you hope that the Board is intellectually honest and follows the law. If you think the Board got it wrong, file a request for rehearing or file an appeal to the CAFC. What I would like to see at the Board would be an independent review board that handles Requests for Rehearing. Too many times I have seen a Request for Rehearing filed and have the same panel of APJs double down on a bad decision with more egregious (mis)statements of law/(unsupported) findings of fact as a justification for not admitting that they were wrong. This independent panel should be made up of very experienced members of the Board with impeccable credentials. Today, who you get on your panel goes a long way to deciding whether you’ll prevail on appeal. There are certain APJs that have a long and documented history of being anti-applicant. Over the long run, the average affirmance/reversal rate for an APJ in a particular tech center shouldn’t vary much between APJs … however, it does. This means that there are fundamental differences in how certain APJs view the law. A separate review board would help in providing APJs consistent guidance as to how to apply the law. Aside from properly interpreting Federal Circuit case law, a goal of the PTAB should be to consistently apply their interpretation of the law. This just isn’t happening today where some APJs are blazing their own trails when it comes to applying the law. As long as the PTAB is acting on secret QA program directives, which are hidden from the CAFC, a patent applicant may have to resort to §145 and go to the United States District Court for the Eastern District of Virginia to obtain justice. There is another issue with respect to precedential rulings. APJs seem reluctant to overrule examiners for inability to parse English sentences either grammatically or semantically. I consult on patent prosecution and litigation, but it seems silly that I have to waste time with writing affidavits or declarations on how English grammar and semantics work. Parsing is a matter of law, and there is absolutely no reason that an APJ should defer to an examiner of demonstrable or obvious incompetence in English. Perhaps there should be an appellate panel that focuses specifically on parsing English sentences. If an examiner cannot properly parse an English sentence, how can his §101, §102, §103, and §112 rejections receive any credence? Why should such an examiner still be working at the USPTO? Ahh … welcome to the USPTO which deals with claims such that the absence or presence of a single word can make or break an application but where Examiner routinely have a very poor command of the English language. Frequently, I have had interviews with Examiner where I could not understand half of what they were saying. Granted, pronunciation is not the same as grammar, but both problems usually derive from the same source (inadequate fluency in the English language). Let’s face facts, engineers are usually not noted for their English skills. That being said, many of the Examiners I have dealt with have very poor English language skills. Another suggestion for the USPTO — hire some legal writing professors and make it mandatory for every Examiner to attend a 40 hour course spread out over several months (with homework) on legal writing. This would take both time and money, but I suspect that the quality of the office actions would drastically increase. I think the PTO gets the best people they can afford. I would rather deal with someone that can’t parse an English sentence, then someone that can’t understand the technology. I would rather deal with many of the examiners who can barely speak English than most of the Fed. Cir. judges and all of the SCOTUS justices. While working with patent prosecution teams, I have had to prepare declarations that explain the meaning of “connect data objects by means of a pointer” (clearly pictured in a diagram) and the meaning of “create a data object” (even though “create” in this sense has entered ordinary English as we now say “create a bank account” [referring the creation of the appropriate data records in a database] instead of “open a back account” [referring to the opening of a new ledger entry for a new bank customer]). I have also had to explain and research “at least one processor and associated memory to execute” because an examiner claimed the phrase was indefinite because he was unsure whether the processor or the memory was “executing”. In other words he wanted to know which noun was modified by “to execute” although he did not know enough English grammar to phrase the question properly. 1) Semantically because the phrase is describing an association that has been made between the at least one processor and the memory, the question is meaningless. The association consisting of processor and memory does the executing. 2) Grammatically “to execute” was an adverbial infinitive that modified “comprising” and that answered the question, “Why does the device, to which the claim was directed, comprise at least one processor and associated memory?” It was not modifying either of the nouns. 3) As an idiom, the phrase “a processor and memory to execute” was common in computer science and electronic engineering text books and articles at least one or two decades before the priority date of the patent application. The above were not even the stupidest examples of examiner incompetence with English. I have had an examiner argue that “to define the contents of fields within a data object” was indefinite. The diagram used “specify” while the written text used “define” and “specify” interchangeably. This usage is not a question of specific software engineering terminology. In property law we use the phrases “to specify metes and bounds” and “to define metes and bounds” interchangeably. In his responses, this particular examiner could not write a compound complex sentence that actually made sense. The APJs refused to overrule the examiner on this nonsense because they claimed to see nothing wrong with the examiner’s total misunderstanding of the grammatical parse, the semantic parse, or the punctuation of the sentence. The PTAB did not address my argument. Instead it dismissed the argument as “grammar” even though grammar is a matter of law and not fact and even though they are obligated to respond directly to the argument (Ex parte Frye). When this sort of crap goes to the District Court of the Eastern District of Virginia, the judges laugh at it, but I don’t understand why this crap is allowed to persist at the examination level. I suspect that there is a directive from the highest levels at the PTO neither to address nor to admit the total linguistic incompetence of some examiners. I don’t know on which planet Night Rider is prosecuting patent applications, but how do I persuade an examiner that does not understand basic English? I have never had this problem with an article III judge. >>I don’t know on which planet Night Rider is prosecuting patent applications, but how do I persuade an examiner that does not understand basic English? I have never had this problem with an article III judge. I think we could have a better list of the Fed. Cir. judges ignorance of science. Taranto saying merely simulating human thought was per se unpatentable. (So, why is he getting paid?) There are many, many more that are just as bad. “Night Rider” also known as “Night Writer” is from the planet where he was trained as an attorney and as a computer scientist. I’ve learned the language of technology. Seriously Joachim, I seldom have problems like you describe above. What I do is focus on the functionality when the examiner gets into weird territory. I explain the invention and then we talk about the claims. If he/she starts saying weird stuff, I say, well, OK, maybe, but you understand how it works, right? We just went over it. So how would you claim it? They then proceed to make minor modifications to claims and all is well. 90% of examiners I’ve worked with are good people that try to get to a fair result. But, don’t speak down to them and respect them and they will respect you back.